One thing you should know about Hood River, OR: It is one of the windiest places you will ever visit. How windy? Well, kite surfing is the sport of choice and you can watch kite surfers by the dozens on the Columbia River catching some serious air. A pretty little town, Hood River is very walkable. The turn of the century architecture is very well-preserved and there are shops, restaurants, and boutiques to fill your day. From my darling, vintage hotel I walked about three blocks to Full Sail Brewery for lunch. A large, chic restaurant/bar room overlooks the river. 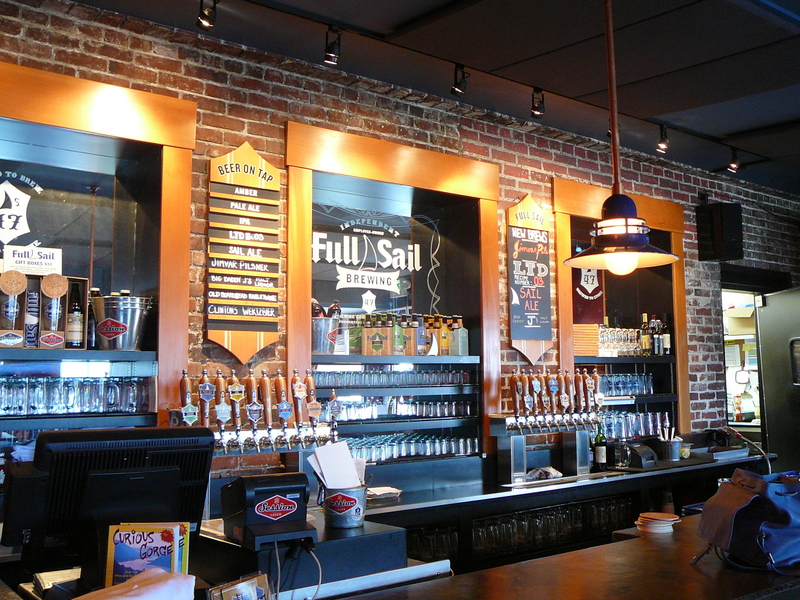 Far from its micro-brew days Full Sail is now considered a Craft Brewery and its success is evident in their establishment. Free tours of the brewery are given daily and well worth the time. The food is great and the bar tenders are very knowledgeable about their products. First I tried the LTD03 pilsner-style lager. My favorite beer of the day, LTD03 was caramel in color and sweet. Crisp body with a vanilla wafer note, I could have easily enjoyed this beer for the rest of the day. Sail Ale was next. Hoppy, crisp and citrusy. Hoppy finish and lovely grapefruit aroma. Jimvar Pilsner also impressed. Well-balanced, crisp and sweet. Medium body with a hoppy finish. 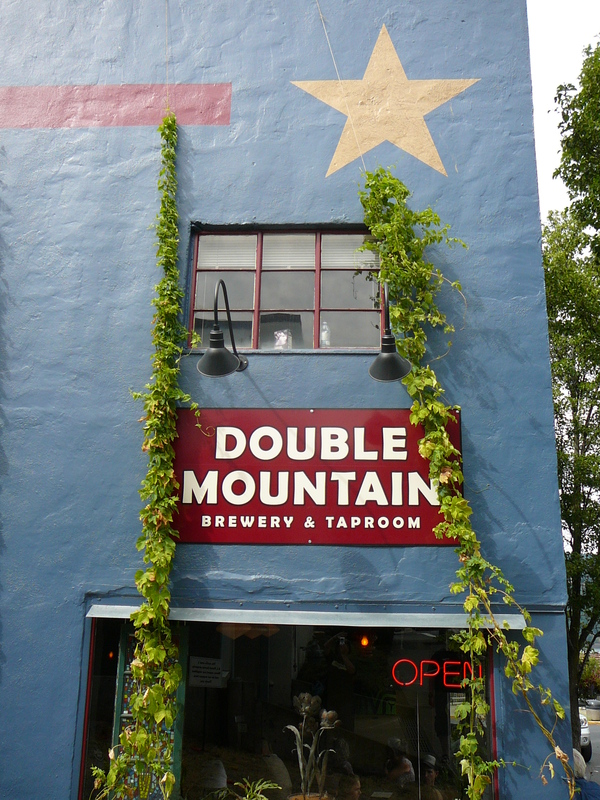 Next stop of the day was to Double Mountain Brewery. Just a block or two from Full Sail Double Mountain has a different look and vibe. A bit more rustic decor, local art work and vintage breweriana decorated the walls. On tap was Devil’s Kriek, a lovely sour cherry kriek. Dark blood-red color, sour dark cherries throughout. Hard sour finish. Full bodied and definitely a sipper. Great beer! The Vaporizer was a nice, dry-hopped pale ale. Light hop aroma with a dry, crisp hop bite finish. I didn’t stay long at Double Mountain due to the “vibe.” It’s a very “hipster locals only” place. I got the feeling they knew I was and out-of-towner and treated me as such. Too bad, because I really like the beer at Double Mountain. I just couldn’t hang with the feeling of not being welcome. So, I did what anyone would do. I headed back to Big Horse Brew Pub. The next day I was on my way to Bend, OR and witnessed some of the most beautiful country I have even seen. Mountains, trees, rivers, streams and the occasional deer made the road trip extremely enjoyable. During the drive I took a little detour to Government Camp, OR to the Ice Axe Grill & Mt. Hood Brewing Company for a little lunch and brews. Surrounded by huge trees lies what used to be a ski rental and gift shop. Mt. 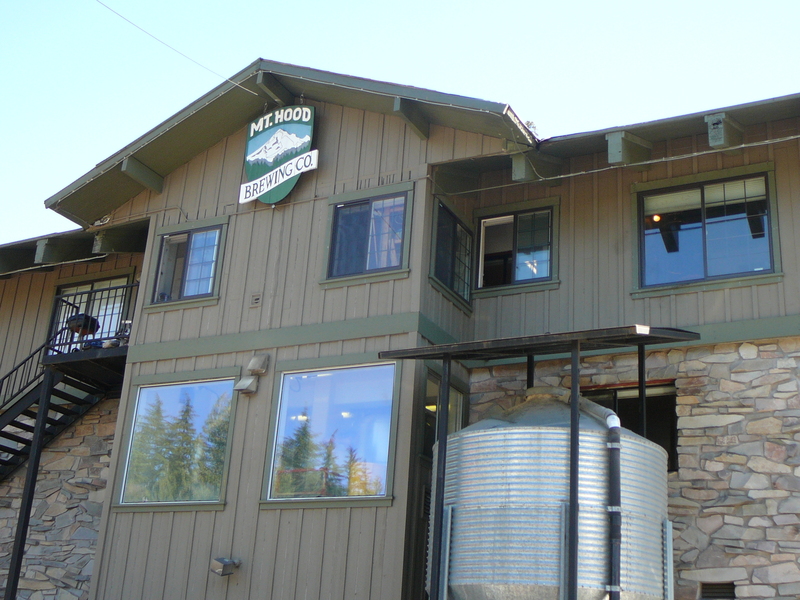 Hood Brewing has been brewing some tasty stuff from this location for over 20 years. The decor is a nod to the great outdoorsman history of the town. The pizza is to die for! The beer is not too shabby either. Highland Meadow Blonde is a sparkly little beer with a lot of flavor. Honey, flowers and caramel rule this beer and a light hop finish gives it just enough bite. Very pretty beer. Kristall Weizbier is a filtered wheat beer that is light golden in color. Very well-balanced it is crisp, sweet and finishes clean. Both beers were perfect for pizza. Ice Axe IPA is their signature beer. Very hoppy and yummy. Perfect for those looking for a little extra kick. Back on the road and headed for Bend, OR. What adventures await me in Bend? Since I began my beer journey 18 years ago, I have made it a mission to visit every brewery I can. A few weeks ago I embarked on another “beercation” in the gorgeous state of Oregon. Now I have visited Portland many times and enjoyed the breweries and brew pubs in that beautiful and amazing city. But this time I decided to travel to some of the other lesser known cities and see what Oregon had in store for this beer chick. First leg of my trip started off 20 minutes outside of Portland in the sleepy town of Troutdale. What’s in Troutdale you ask? Well, many a beer drinker knows of just one place…the Edgefield Resort. Owned by McMenamins this gorgeous resort is surrounded by vineyards, gardens, mature trees, and lovely old buildings dating back to 1911. 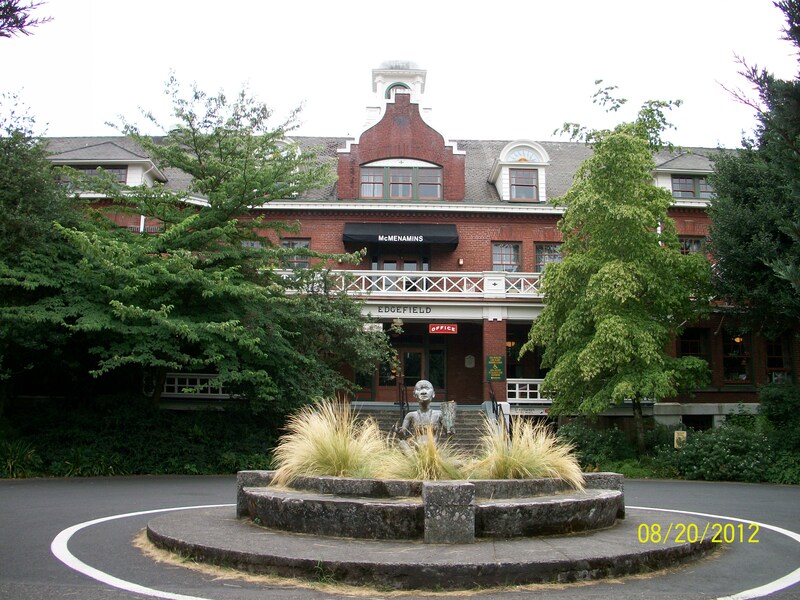 Set on 74 acres, the resort served as the Multnomah County Poor farm from 1911 until 1982 and housed farmers that needed a little support in times of need. The grounds are beautiful, quiet, and relaxing. 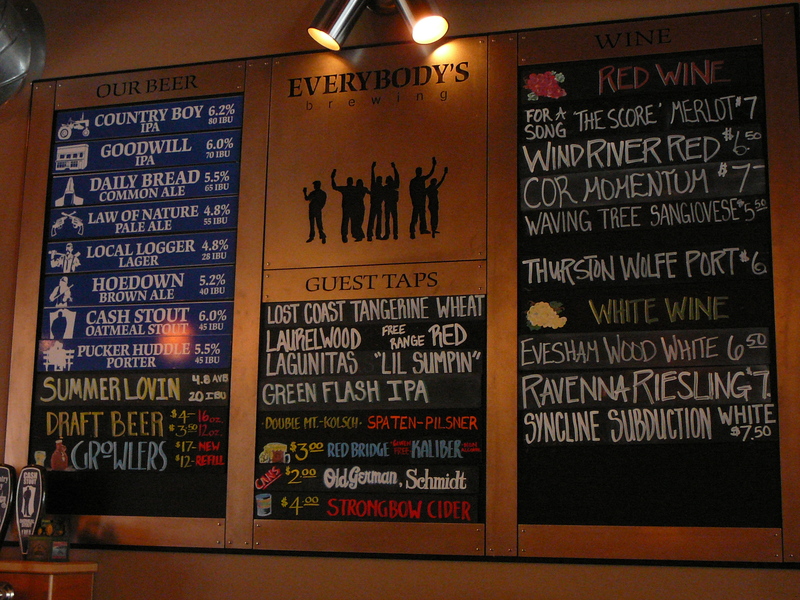 There are a few McMenamins restaurants to choose from, a pool hall, 3-par golf course, and heated soaking pool. Oh, and there just happens to be a nice sized outdoor pavilion that hosts live acts by some little entertainers you may have heard of such as Willie Nelson, John Fogerty, Foster the People, Florence + the Machine, Gotye, Bonnie Raitt, Train…you get the idea. The rooms are spacious and decorated not only with antiques, but the walls tell stories of the resorts former residents and the history of the grounds. As for the beer, it was great as always. Try a Ruby Ale if you are looking for a crisp, subtle raspberry ale. For those hop heads out there I would recommend the Copper Moon Pale Ale. Nice and bitey, with a sweet caramel note. Do you like art? Edgefield has plenty of it! In fact, the walls are covered with local artist pieces paying homage to the history of the resort and the state of Oregon. What a great way to spend a weekend! The next couple of days were spent on the Columbia River in the historic town of Hood River. 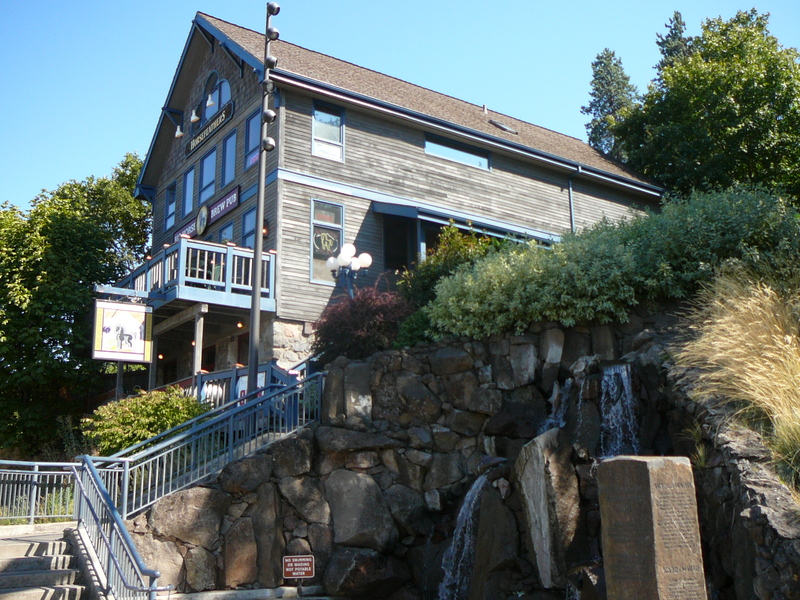 A charming, Victorian town, Hood River has a lot to offer for the weary traveler/beer enthusiast. But before settling into my hotel, I took a quick trip across the bridge into White Salmon, WA and stopped at a little brewery called Everybody’s Brewing. With an amazing view of Mt. Hood, I sat on Everybody’s patio and enjoyed their taster tray. For the sake of time I will narrow it down to a couple of my fave’s. Goodwill IPA was my favorite from Everybody’s. Very well-balanced, hoppy and malty with a caramel character and a hoppy, floral finish. For a lighter choice I enjoyed the seasonal Summer Lovin’. This light, crisp ale is sweet and very easy to drink. Hints of orange and honey are present in the aroma and flavor and the finish is pleasantly soft. Back across the bridge into Hood River. There are four breweries in Hood River: Big Horse Brew Pub, Full Sail Brewing Company, Double Mountain Brewery, and pFriem Family brewers. Unfortunately, pFriem was closed during our stay in Hood River but we had a great time visiting the other three. Big Horse Brew Pub is truly a gem! Housed in a large Victorian home that was built into the side of a hill and overlooking the town and the Columbia River, Big Horse has been brewing tasty beer for over twenty years. The food is wonderful and fresh. The atmosphere is very laid back and simple. The view of the town and river cannot be beat. And the beer? Fantastic. I started with the Easy Blonde. Light, sweet, and easy to drink, this beer had a honey and cereal aroma. Biscuity mouth feel and a nice vanilla finish. Wind Ripper was Big Horse’s summer ale. Medium body character and very effervescent. Crisp and refreshing and perfect for a hot summer day. For the hop heads there is the Pale Rider IPA. Apricot color, citrus and flower aroma. Medium body with hard grapefruit finish. My favorite beer from Big Horse was A Night in Munich; Munich Helles style lager. Crisp and sweet, this lager tasted of Golden Grahams cereal. Malty and well-balanced this beer was an absolute delight. Don’t bother looking for Big Horse in any store. The beer never leaves the brewery so if you want to give this yummy stuff a try you will have to make the pilgrimage to Hood River. Information for Big Horse Brew Pub can be found on Facebook.